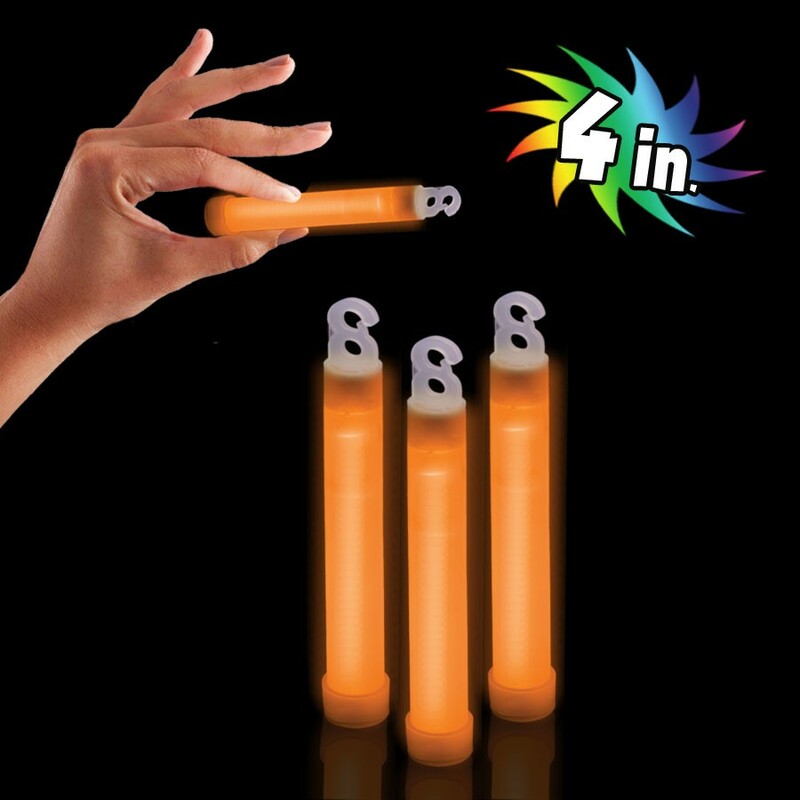 If you want to stick it to your competition during the next promotional campaign, look no further than this orange 4" premium glow stick. 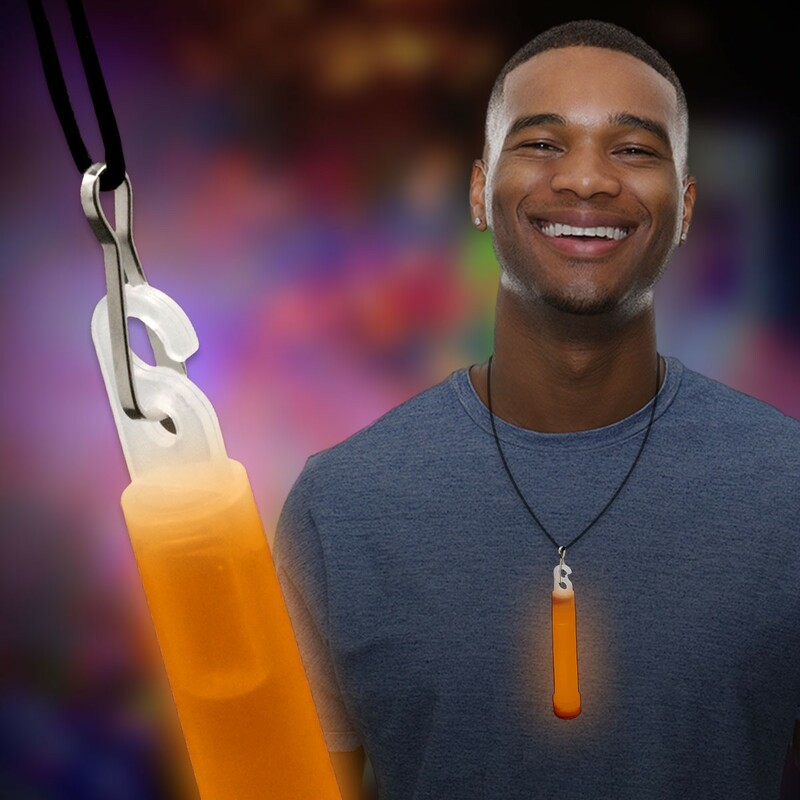 This bright and bold item is an outstanding accessory for concerts, fundraisers, sporting events, dance parties and so much more. Customize with an imprint (pad print or decal) of your company name and logo to make a glowing brand statement. 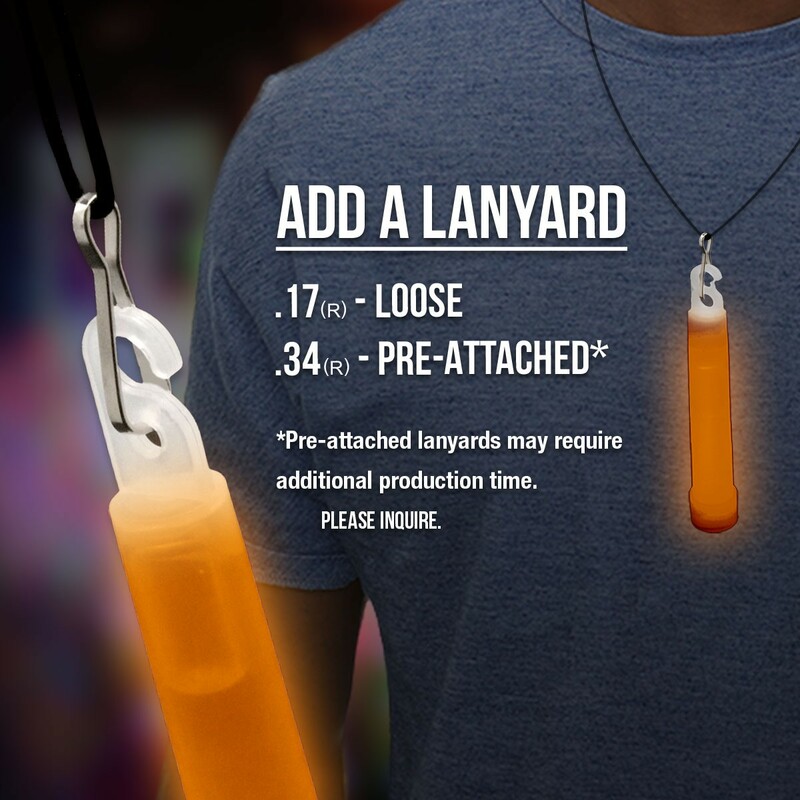 This is a choking hazard not suitable for children under three years old. Please note: glow items are for one time use only; no batteries required. 4" Premium Light Sticks (50 pieces per color, per pack). Please note: Glow products by nature are a one time use only. Please note: Colorless plastic before activation. * FAST SHIP: This product is a member of our fast ship program. We can ship this item (up to 1000 imprinted pieces) within 48 hours after artwork is approved. Rush fees may apply, please inquire. * AVAILABLE IN OUR ULTRA FAST SHIP PROGRAM (Same Day). Rush Fees May Apply, please inquire. * With our Same Day Ship Program we can imprint and ship SAME DAY under the following restrictions: Artwork (proof) and payment terms must be approved by 10:00am (Central Time). 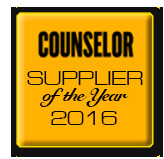 Glow Bracelets and Glow Necklaces can be shipped same day if decorated utilizing the Hot Stamp option only. Pad Printing cannot be shipped same day. Same day shipping on the Lumiton product line pertains to the 4" x 5" label only. Limitations on quantities and / or rush fees might apply, please inquire. Above pricing includes a 1 color imprint in 1 location. For all imprinting add a Set-up fee of $55 (v). We may offer additional locations and up to 4 spot colors, PMS matches acceptable @ $14 (v) per color. For each additional location and for each additional spot color add a Set-up fee of $20 (v) and a running charge of $.14 (v) per color, per location. Repeat set up fees apply. Call for details. Imprint Minimum is 200 pcs. Imprint Method: Label Only. Production Time: 5-10 business days after receipt of artwork and approval.